Sample lesson plans, candy histories, fun facts, and tasty tidbits. Lots to chew on! Schools and youth groups, please contact us directly if you’re interested in exclusive educator discounts on the Make Your Own Candy Kits. 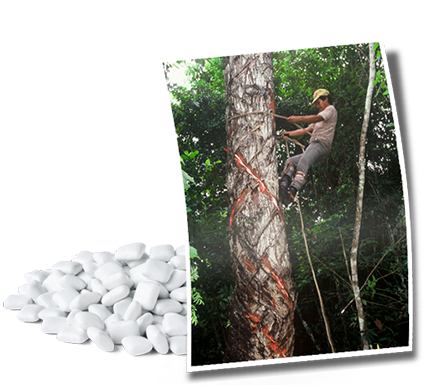 Ever wondered how chewing gum gets from tree to GLEE? Let’s take a trip to find out! Read More. Love gum? Then you’re probably gonna love these fun facts about it. Read More. Tell us you bought some Glee, and we will plant a tree! Read More. What gives gum its unique, chewy texture? Gum base. What’s gum base? Good question. Read More. We believe that consumers can make a big difference in determining the fate of the earth. A good starting point is to learn where products come from and how they get to other parts of the world. Here’s the story of chicle. Read More. Picture yourself walking through a lush green forest. The heat is intense; sweat beads up on your skin and trickles down your back. Moisture is everywhere— dripping off the leaves, forming pools on the forest floor, and creating a mist in the air. Read More. A free guide to using the Make Your Own Chewing Gum Kit in the classroom. Read More. A free guide to using the Make Your Own Gummies Kit in the classroom. Read More. A free guide to using the Make Your Own Chewing Chocolate Kit in the classroom. Read More. Chocolate comes in many shapes and forms – in bars and kisses, in steaming mugs of cocoa and cold, creamy milkshakes. But do you know where it comes from? Read More. Gummies are delicious, with a texture unlike any other candy. What is the secret to this gooey, goopy, tasty treat? The answer can be found in the Philippines and other coastal regions of Asia. Read More. When you pop a piece of gum into your mouth, you’re more likely to be concerned with its taste and bubble capabilities than with its history. But if you were to wonder about the origins of your gum, you’d have a lot more to chew on. Read More.